"However, genre snobbery is course still very much with us: I’m amazed at the contamination anxiety, and the pains some prominent contemporary writers will take to insist that their science fiction or fantasy novels aren’t science fiction or fantasy novels. They endlessly tie themselves up in knots, desperate to avoid the stigma of genre. It’s all a sort of desperate casuistry." I fear I see that in horror fiction too at times. Me, I write horror and am proud of my field. Ramsey, I include a quote in the book from Simon Strantzas, in which he says that he's always subscribed to your view on this! I will ask the university library to get this book. 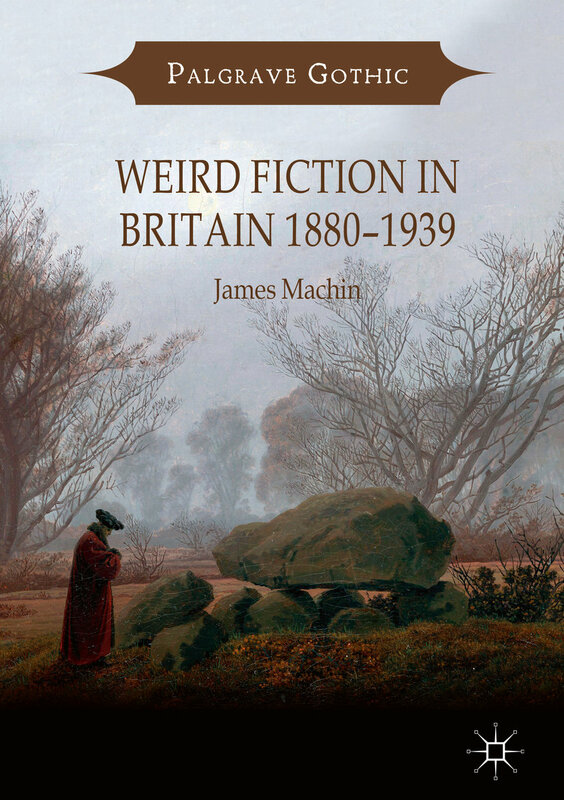 One may argue that 1887-1912 was the 25-year Golden Age of Fantastic Prose Fiction in England, bounded by Haggard's She and Doyle's Lost World, and with such things as M. R. James's Ghost Stories of an Antiquary, the prose romances of William Morris, MacDonald's Lilith, Hodgson's House on the Borderland, Wells's chief sf works, Stoker's Dracula, and others as suggested here belonging to the period. That period established a tradition that's still living, too. Thanks ever so much for the library order, much appreciated! And, yes, I completely agree with what you say re the period -- unparalleled in terms of innovations in fantastic fiction. Any plans for a more affordable edition? Kudos to you, and for Palgrave for putting this out. Some points lost for them for making it three times what I'd expect to pay. Ivory towers! Yes, it's not ideal, but this is an academic work and priced by the publisher on the realistic expectation that it will only sell to a handfull of university libraries -- though the pricing of course almost guarantees that this will be the case. I would certainly like to see it come out as a more affordable paperback, but who knows! Intriguing. Question: I will be visiting the UK next year (if all goes as planned) spending the bulk of my time in the Cotswolds. Are there any particularly "good" old bookshops that I need to stop at? Of course, I'm fishing for Machen, Aickman, and other books by writers of the weird. Any pointers would prove very helpful, as I haven't been over there since the late '80s, when I lived in Bedfordshire. Cheap(er) copy on eBay for USA buyers.